I don’t know about you, but I love a good deal. As a special education teacher, I especially love good educational deals! The other day, I was at the dollar store looking for balloons. My quest took me to the party aisle, where I happened to notice all the cheap party favors they had. That’s when I saw them. Squishy balls! Three for $1.00! A lightbulb went off in my brain and I immediately knew how I was going to put them to use. I bought six packs for a total of eighteen squishy balls and took them all to school. I opened all the packs, put the balls in an empty notecard container, and voila! 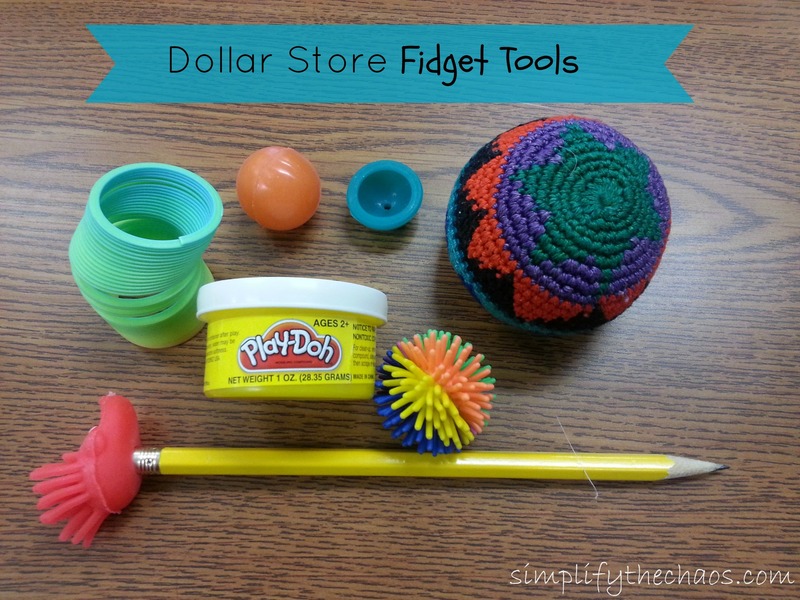 A class set of fidget tools! I teach in a middle school, and one class that I co-teach in has a lot of students who struggle with attention. While a few students do have ADHD or other types of sensory processing disorders, most just simply have to stay busy or they get bored. Boredom = lots of extra pencil tapping, talking to a neighbor, fidgeting in their seat, or (in extreme cases) falling asleep. The class was getting out of control! I had thought about using fidget tools before, but I simply didn’t have enough for everyone that needed one. I knew the students would complain about “fairness” if they didn’t all have the same thing but buying 18 similar fidget tools was going to get expensive quick! This was the perfect solution. I got enough foreveryone in the class and passed them out at the beginning of class. I’ve been amazed at how just having something small in his or her hand to play with in a non-disruptive way can really help a student focus! I collect them at the end of class and they’re ready to go for the next day. This has made a big difference in keeping noise level down and helping students stay focused. $6.00 well spent! The list goes on and on! I have found the most helpful aisles to be the party aisle and craft aisle. Be creative! Finding good tools to help your students concentrate does not have to be complicated and it does not have to be expensive! All of these items can be found for under $3. I also collect stress balls at every chance I get–many companies use them as promotional items so they are f-r-e-e! Doesn’t get better than that! 1- Your fidget tool does not leave your hand unless it is sitting on your desk. 2- You may only use one hand with your fidget tool. The other must be working (writing, using a calculator, following along on the page, etc). 3- Do not throw your fidget tool. 4- If you are unable to work and/or listen to the teacher when you have your fidget tool, then you lose it for the day. It is there to help you only and it is a privilege to have one, not a right. Enjoy a fidget-free (or at the least, reduced!) classrroom! Today’s school outfit was based on neutral shades. I did add some jewelry after this but didn’t have time to take another picture. Quick and easy look for fall! Today was one of those Mondays where I woke up in disbelief that my weekend was over. Okay, truthfully, this happens nearly every Monday, but today was especially so! This weekend FLEW by! Justin had a study-free weekend and since that rarely happens, we decided to take advantage by road-tripping to Charlottesville, VA to visit some friends. We have several friends who live in the city and we don’t often get to see them so it was a treat to spend the whole weekend catching up! 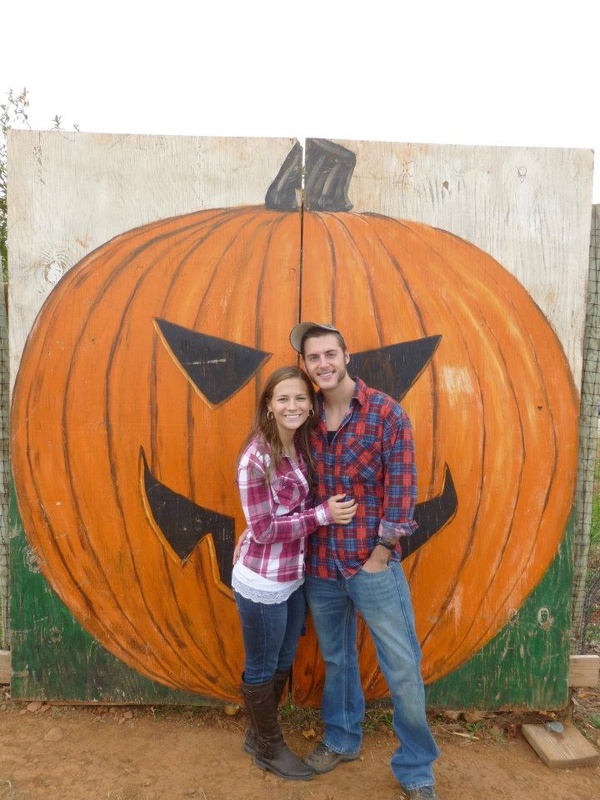 -Annual trip to Carter’s Mountain Orchard! If you are ever in the Charlottesville area in the fall, you simply must check this place out. 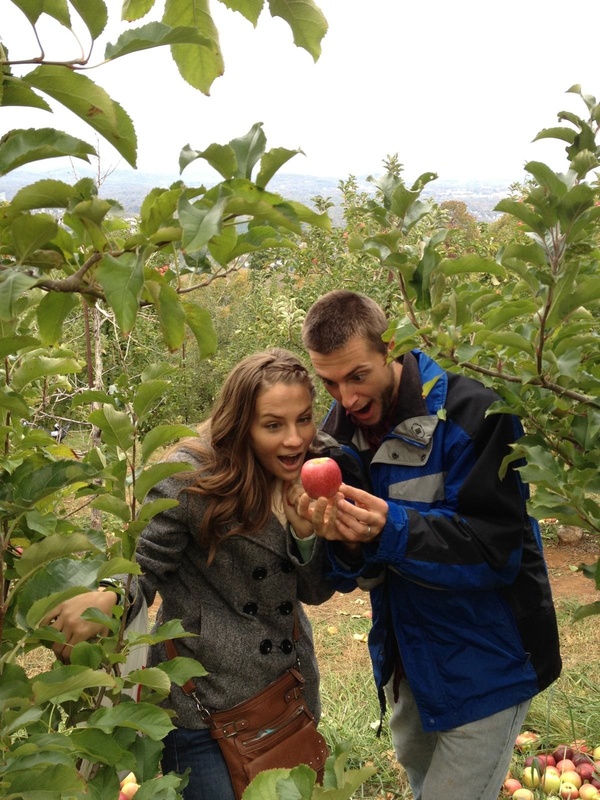 It is a GORGEOUS orchard on top of a mountain! 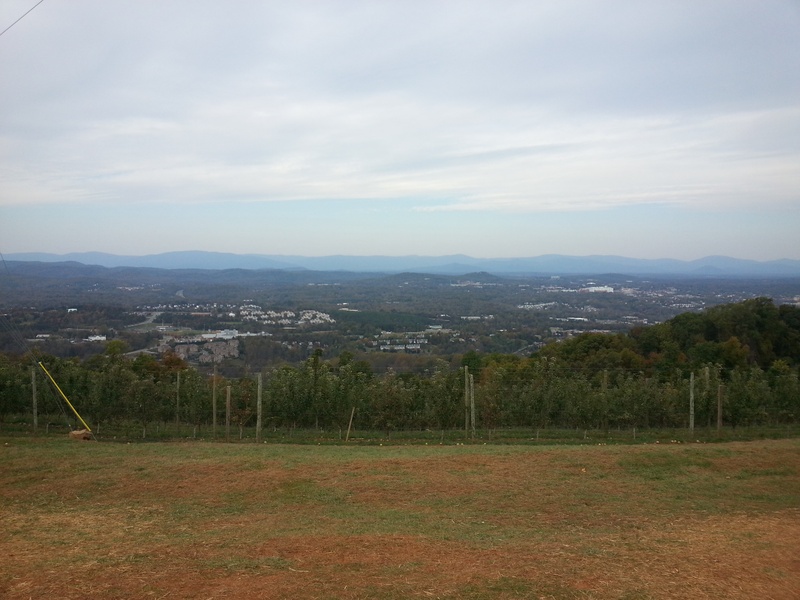 You can walk down the mountain into the orchard on both sides and the view is incredible. This picture does not even do it justice at all! After getting our bags, we made a beeline to the Pink Lady trees (my favorite!) 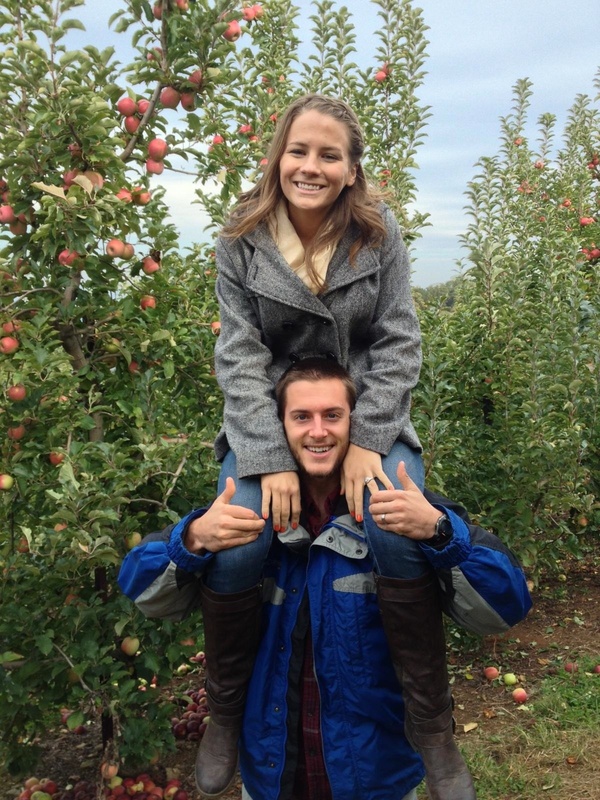 Unfortunately, by this late in October, many of the trees have no apples within reach anymore so Justin and I employed some married teamwork to get the yummy ones at the top of the trees! As you can see we do not mess around. And it was worth it when we got perfectly pinkish-red apples! Yes!! We also got some Jonagolds which were also delicious! And since it was all outdoors, dogs were allowed to go in the orchard. Macie loved it! Before leaving, we had to take our “annual” family pumpkin picture! We were actually at Carter’s over the same weekend (with the same friends!) last year. Justin and I took a picture in front of a giant pumpkin painting and we decided to make it a tradition and take a picture again this year. Now I guess we will just have to go back next year and take another one! Speaking of love, Carter’s Mountain also has little stores at the top. One of them is a bakery and they sell APPLE. CIDER. DONUTS. My life is completely changed. Delicious! I forgot to take a picture of ours this year, so a picture of last year’s will have to suffice. Although it should be noted that this year we upgraded from a half dozen to a full dozen. Yum! And yes, my man was rocking mutton chops last year. We went to a country concert later that day so it was fitting. Love that guy! As fun as our trip was, it went way too fast! I’m already looking forward to our next visit! Since today was one of those “I can’t believe it’s already Monday” days, I went for a simple, comfy look. You can’t go wrong with a classic v-neck sweater and understated jewelry! Since I didn’t have time to take a picture this morning (may have slept in a bit too long!) I had to take a mirror selfie in the gym locker room before my workout after school. Classy, huh? Today, a very exciting package came in the mail! A puppy Santa hat for Macie! This past weekend, a few friends and I drove to a nearby city for an overnight girls’ shopping trip/weekend away. (It was SO nice to get some quality girl-time in . . . and of course, score some major deals!) As we were browsing one of the many stores, one of the girls picked out coordinating outfits for herself and her husband and casually mentioned they’d probably wear them for Christmas card pictures. Pause. What? People are thinking about Christmas? Didn’t fall just begin? Truth is, I’m a bit of a procrastinator and had my friend not said something, Christmas card pictures wouldn’t have even crossed my mind for about another month. Then it would have taken me a week or two to decide what to do and at least another week to get it done. I’d be lucky to get the cards out by Christmas eve! The whole thing would be rushed and stressful, and I’d probably be dissatisfied with the results. Not gonna happen this year! I’m inspired to “simplify the [upcoming] chaos” by planning ahead! Let Operation Stress-free Christmas Card Picture begin! All my enthusiasm aside, I have no delusions that I’ll be able to pull off something glamourous. I see all the adorable Christmas card pictures where the couple is wrapped up cozily in Christmas lights (J & I would just look like a tangled mess) or is having a cute snowball fight and still looking picture perfect (My face gets ridiculously red in the cold so I’d look like Rudolph). Then I realized that J and I don’t need to do anything spectacular because we have a spectacularly cute puppy who can steal all the limelight and be adorable enough for us all! Cue Santa hat! (Bonus that is was only $2.99 plus shipping!) Now I just have to get her to like wearing the hat so it will stay on long enough for a picture. So far, she’s up to keeping it on for about 1.2 seconds. Anyways, I consider this a significant success on Step #1 of Operation Stress-free Christmas Card Picture. Yes! 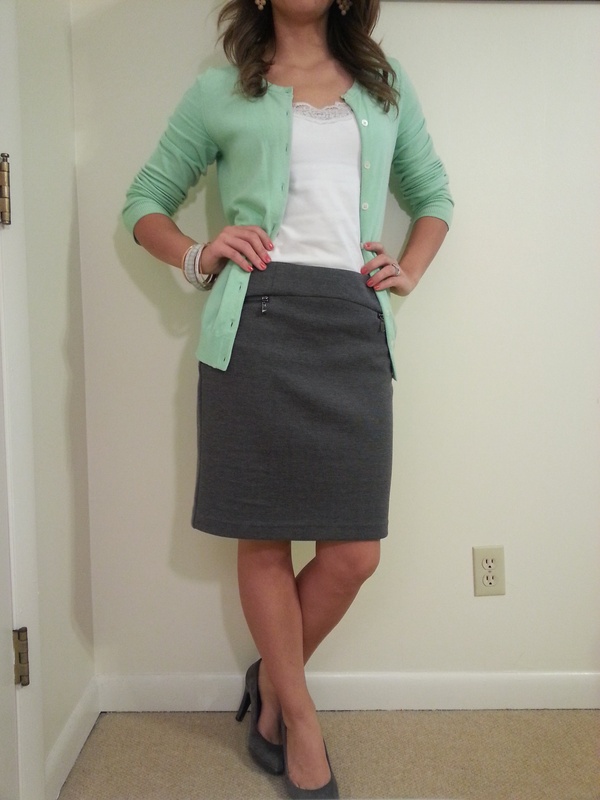 Last week, I posted about re-vamping spring clothing to give it new life for the fall/winter. Even though I did score some new clothing on the shopping spree, I’m still digging out spring clothes and giving them new life. It’s actually fun to find new ways to wear things and it’s also very budget-friendly! I LOVE mint and paired it with other pastels all spring and summer long. I paired it with grey to transition it to winter and really like the way it turned out! Hmm. We might need to work on her a bit before she’s ready for her big Christmas card debut after all . . .
What’s a shopaholic to do? I can reasonably be classified as a shopaholic. As the wife of a medical school student, I can also be classified as broke. Ever since the leaves began to change color, I have been itching to get some new fall clothing. I just love trying out new trends/colors/patterns with each new season of the year! 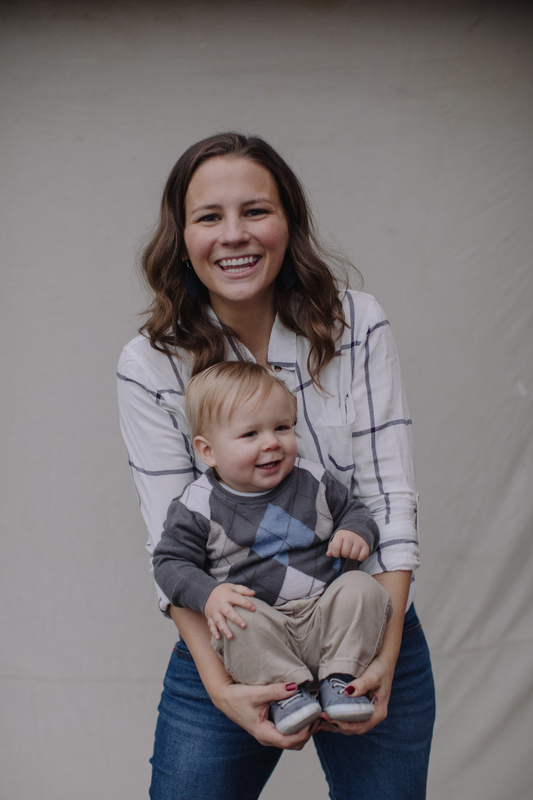 However, this year I have been really trying to stick to a budget since I am the money maker (or as my husband affectionately says, the sugar mama) in our family for the time being. I’ve been saving up my extra earnings from my second job for a shopping trip/girls’ weekend coming up (which I am SUPER excited about! ), but until then, I’ve had to nix the shopping and avoid buying new clothes for this fall. This has caused me to get creative with my wardrobe. Last weekend when getting ready for T.O.O.T., I had one of those “I have nothing to wear” moments. You know the kind: you open your closet and feel completely uninspired by everything you see. I realized I had already worn all my “fall” outfits at least once, if not twice, since mid-September. Now, I know that I am not defined by my appearance. I know my husband thinks I’m beautiful even in sweatpants and no make-up. I know I can have a good time in an outfit my friends have already seen 30 times. I also know that many of my friends wouldn’t even notice if I repeated the outfit 30 times. But I also know that I feel better about myself on the inside when I’m know I’m looking cute on the outside. I wanted to feel good about my outfit, so I decided to dig out some off-season clothes and see what I could put together. I found the answer to my problem laying on my shelf of spring clothing. In the spring, I found a plain, thin, bright coral sweater at Target. It’s fairly sheer so I always layer a long tank underneath it. By pairing it with “fall” accessories, I was able to make a look appropriate for an outdoor event in mid-October while feeling cute and saving money. And I actually kind of liked that it wasn’t a traditional fall color. Usually I reserve bright coral for spring or summer and pair it with sandals, but it was fun to mix it up in an unexpected way. Now I’m going through all my “spring” clothes looking for ways to re-vamp looks for the cooler weather! And when I (finally!) get to go shopping with the girls this weekend, I’m going to try to find clothing that will be good both for this fall and for other seasons so I can continue to get lots of use out of my purchases throughout the year! Author SarahPosted on October 18, 2013 October 18, 2013 Categories Fashion, LifeTags fall clothing, shoppingLeave a comment on What’s a shopaholic to do? Yes, I have a bit of a childish sense of humor. But I did not make up this acronym! 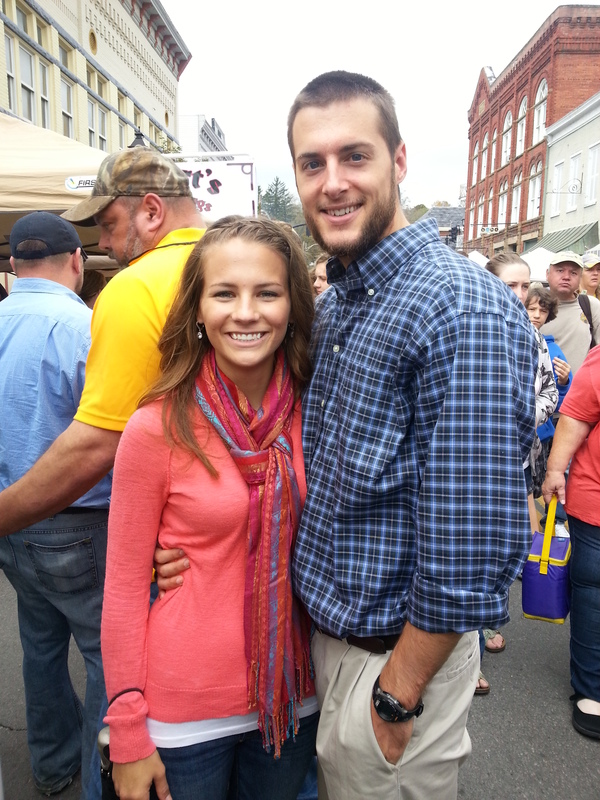 Taste of our Towns is a yearly festival in the town we moved to. As a lover of festivals, I was excited. As a lover of food, so was Justin. We set off with our umbrellas since the morning was drizzly, but by the time we parked and walked into the heart of the festival, the actually rain had passed and we didn’t get a single drop! Justin had to take blood pressures at a booth for his medical school for an hour, so after letting him take mine (102/78 baby!!) I scoped out the booths while I waited for him to finish. T.O.O.T. works by using a token system. You buy tokens (1 token = $1) and then trade in tokens for food at the various booths. 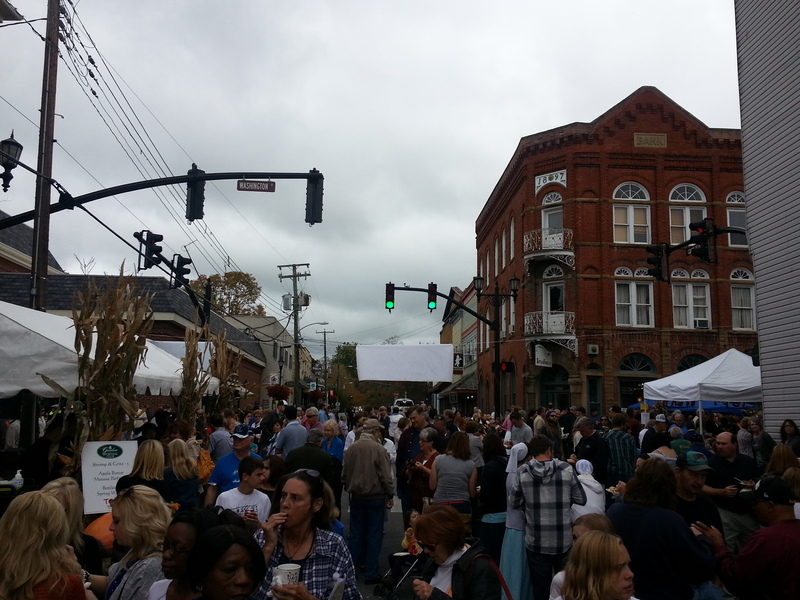 There were 50+ booths from different local restaurants, bakeries, coffee shops, frozen yogurt stands, and food stores. Most of the food was sold in smaller portions than normal so you can sample many different types of food rather than fill up on just one or two things. 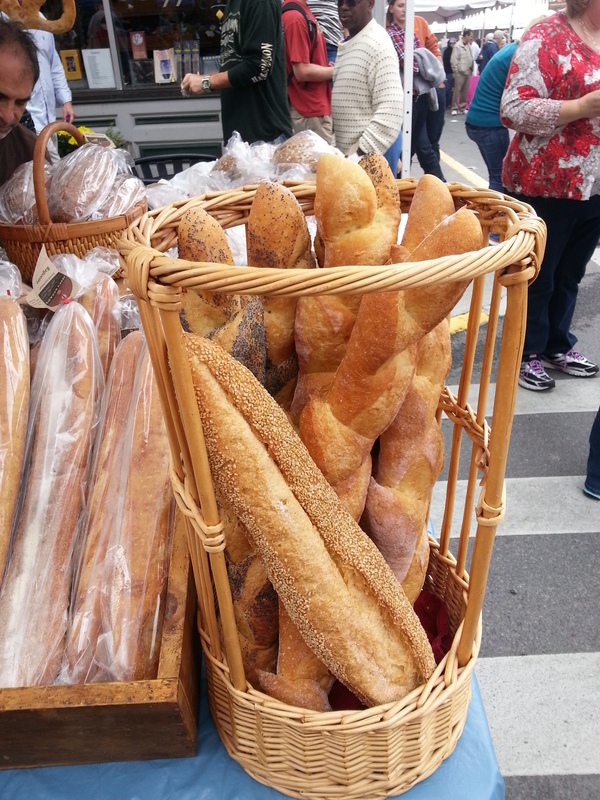 And everything sold is the best of the best that the businesses offer so it is all delicious! There were also different entertainers throughout. 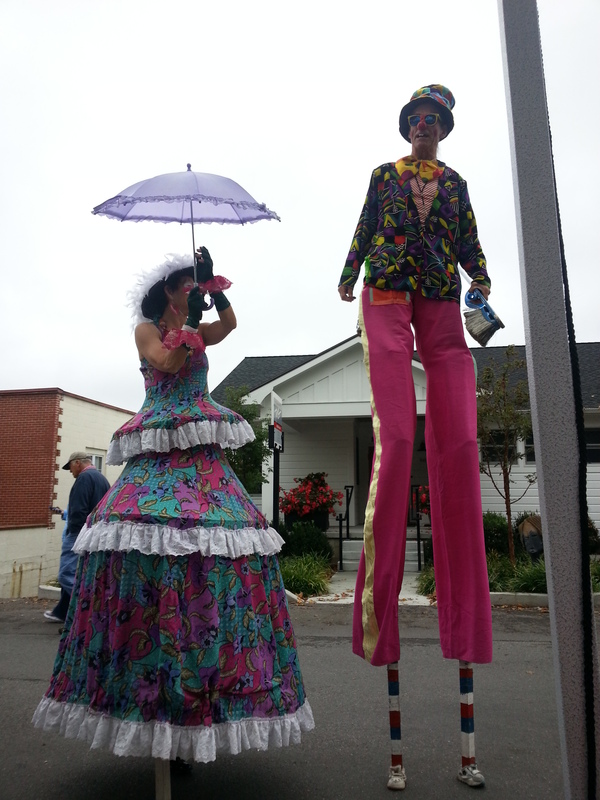 My personal favorite were the people on stilts. Scary!! Once Justin was done taking blood pressures, we met up with a group of our friends and got to work selecting foods to try! After a delicious pulled pork sandwich for lunch, my sweet tooth won out and I tried chocolate peanut butter fudge (seriously, how can you turn that down?! 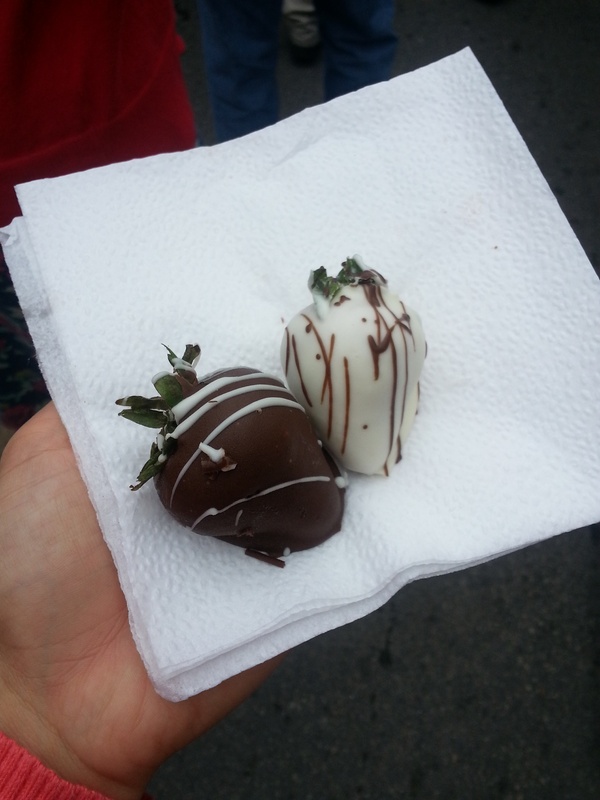 ), a chocolate covered pretzel, and beautifully dipped chocolate covered strawberries. Notice the trend. I adore chocolate. It’s probably a good thing that I got my blood pressure taken before all this food! Justin had a bit more restraint and tried more “real” foods like a loaded bratwurst, a prime rib potato bowl, and bread pudding. 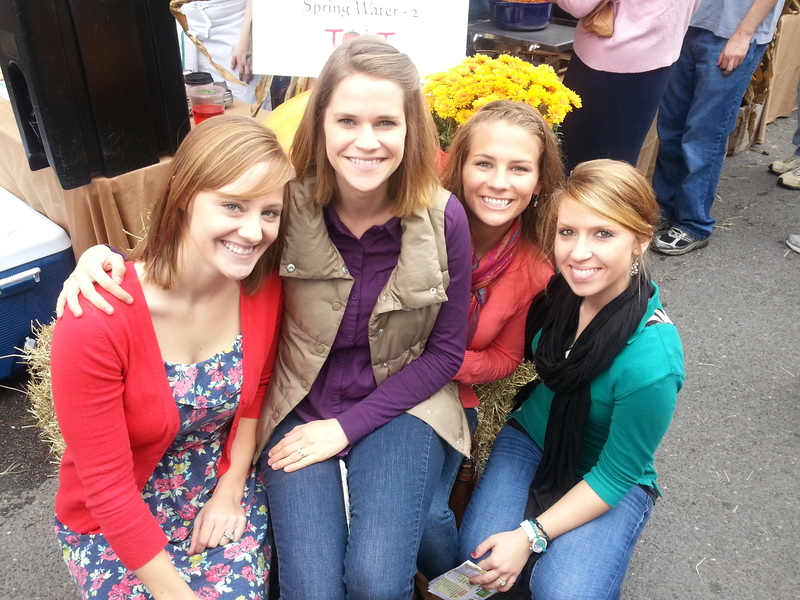 We had such a great day hanging out with fantastic friends and sampling phenomenal foods! I already can’t wait for T.O.O.T. 2014! Yesterday was a pretty long day at school, and I found myself really missing my kiddos from my last teaching job. Before I got married and relocated, I taught elementary-aged students with multiple disabilities and absolutely loved it!! Those students became so dear to me and they will forever have a place in my heart. And thanks to my thoughtful and creative teaching assistant, they will also always have a place on my back deck! At the end of last year, my class surprised me with the BEST gift ever! My teaching assistants chipped in and bought me a large flower pot. Then they painted the rim blue for the sky and a border of green grass at the bottom. They had each child stick their hand in green paint (great feeling for these children who love sensory activities!) and press it onto the pot for flower stems. The students all got to choose the color they wanted to paint the flower centers and petals. Since all of my students had communication needs, they indicated their color choices either by eye gaze or using gestures. 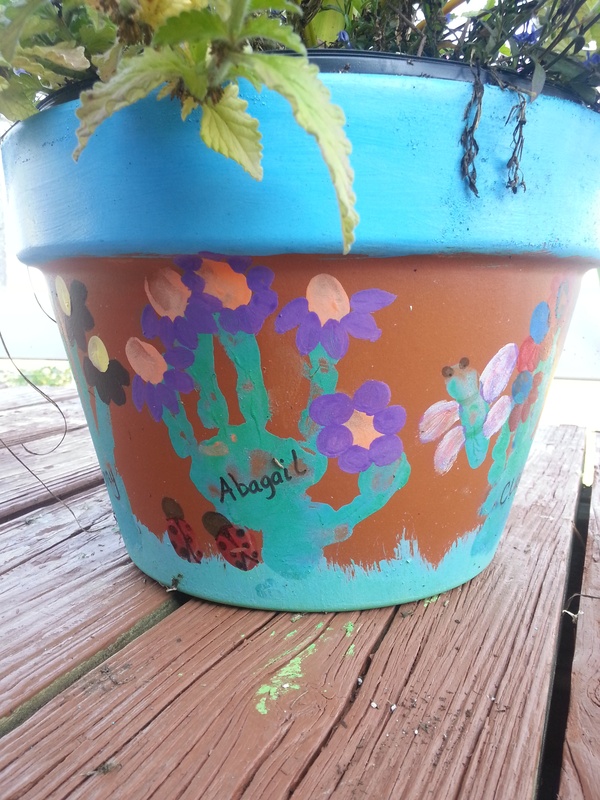 Each flower center and petal was carefully made using the child’s thumbprints. And the cutest finishing touch was the little critters! Each student made a little thumbprint critter (i.e. ladybug, butterfly, ant) next to their flower. Adorable!! I liked that they also wrote each student’s name on their flower so I will always know whose is whose. 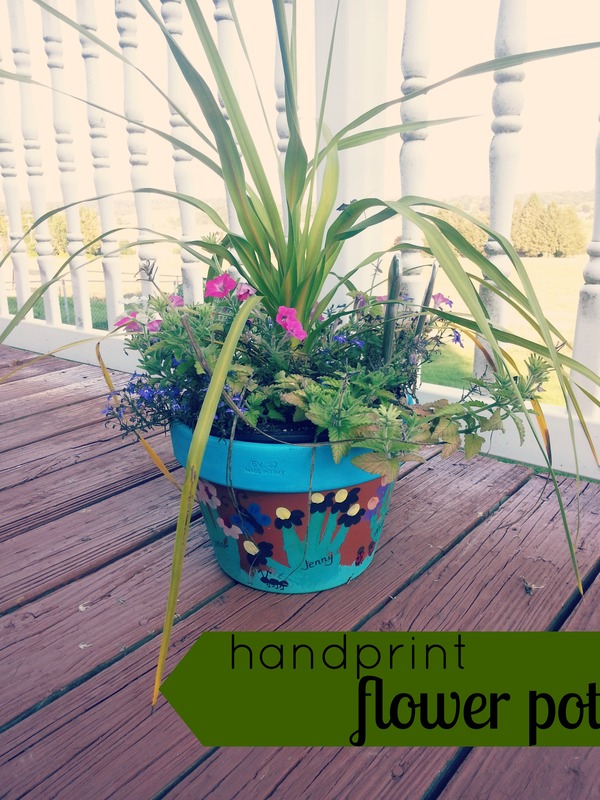 I really really loved this idea and thought it was such a creative and thoughtful gift! I also loved that it actually involved my students, who have more limitations with fine motor skills. This was the perfect craft to get them really involved and now I always have a piece of them with me even though I moved far away! The gift also included a Lowe’s gift card so I could purchase a pre-potted flower arrangement (my assistants know full well my complete LACK of a green thumb!) which was also a very thoughtful gesture. I’m so thankful to have had the opportunity to work with such wonderful people! Today, I aged 15 years. Someone once told me that a “generation” is roughly 25 years. And something happened today that made me realize that though there are only about 10 chronological years between myself and the average eighth grader, I am really in a totally separate generation. In the last block English class I co-teach in, the other teacher passed out a sheet detailing ways to “hook” your readers using different tactics. One of the tactics was to make a pop culture reference and the example sentence talked about N’Sync. LESS THAN HALF of the class knew who that was. I could almost feel the wrinkles form instantly. After agonizing for roughly 30 minutes about how to re-work my budget to include all the anti-age creams and serums I would now have to buy, I realized how ridiculous I was being and decided to embrace my old goat status. So tonight, I’m going to sit back with a nice glass of wine and crank up the “classic” Backstreet Boys (on my antiquated CDs no less).